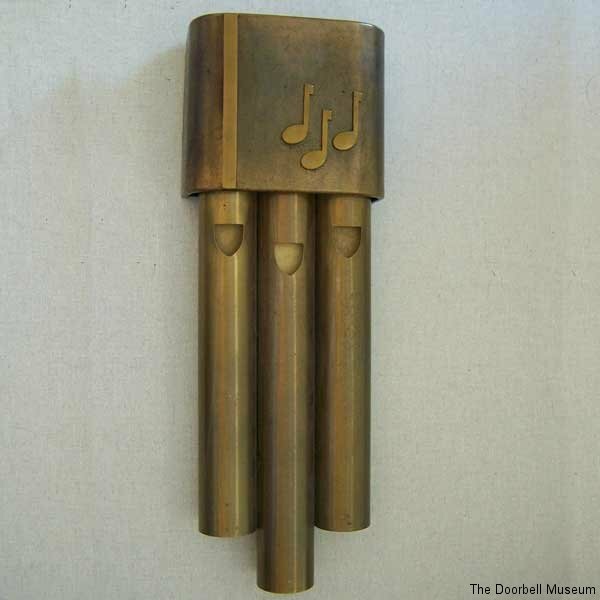 Here is the original Rittenhouse Beverly musical door chime. 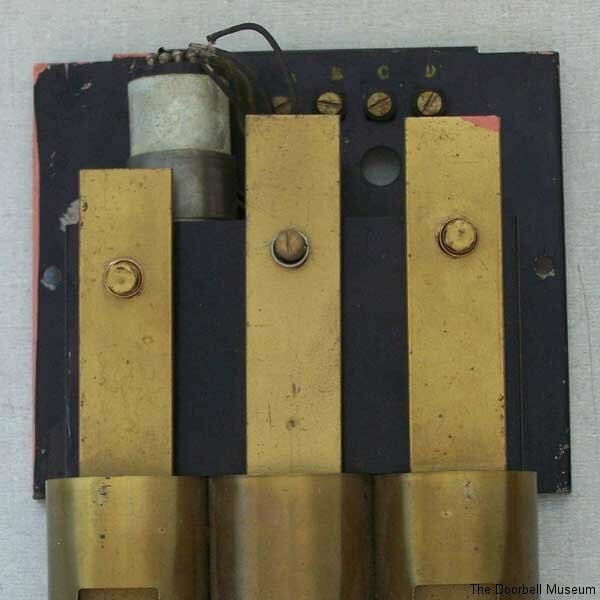 This chime employs an electrical timing mechanism invented by Lloyd Rittenhouse in 1940. 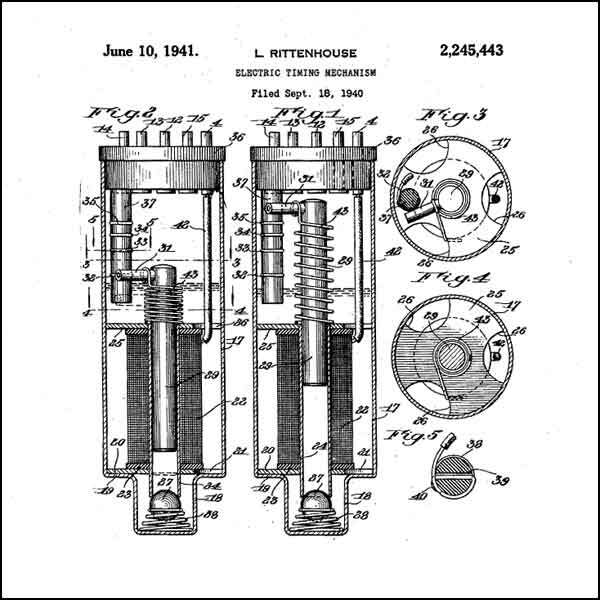 The Beverly incorporated tone bars entirely encased by their resonator tubes, a patented innovation of Rittenhouse. The Beverly was manufactured in several incarnations between 1940 and the mid 1950s, the Beverly making this one of the most popular resonator resonator musical chimes of all time. 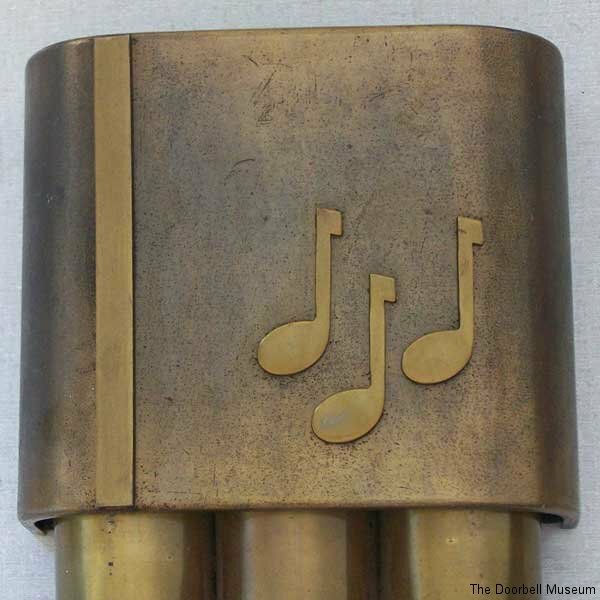 A hallmark design cue maintained through the years on the Beverly was positioning the longest resonator tube in the center with two equally sized resonator tubes on either side. The first generation Beverly is notable for the first use of the Rhythm Master Mechanism. The first generation Beverly was available as the E-350-B English bronze and brass (shown below) along with the E-350; Eggshell ivory and brass, and the E-350-C in White and chrome.